Next month will be the second anniversary of when we first exposed failings by Whirlpool’s modification programme, leaving consumer with fire risk tumble dryers at risk. And now new problems are coming to light. On Wednesday night, we and BBC Watchdog revealed frightening new findings from experts, and our lab testing. The modification that Whirlpool has been carrying out to the fire-risk tumble dryers may leave them at continued risk of fire. Last month, we obtained a dryer that had been through the repair programme and subsequently caught fire in a consumer’s home. We sent it to one of our labs for testing and and found that, after two minutes and with no clothes in the machine, flames were seen at the back of the drum. The filter was in good condition but an excessive amount of dust had bypassed the filter and had been deposited around the machine, including on the heating element. Frightening. Whirlpool told us: “we have total confidence in the modification. Extensive testing and analysis of the modification both before and since its implementation has shown it provides an effective resolution for the issue. Next we investigated the advice that consumers who are yet to have their dryer modified by Whirlpool are receiving. We made 72 calls to six of the UK’s leading retailers of Whirlpool-owned brands that had sold the fire-risk dryers. And the results were shocking. Our undercover investigation revealed that customer service operatives from retailers AO.com, Argos, Co-op Electricals, Currys PC World, John Lewis and Very/Littlewoods are failing to give the full and appropriate safety advice when contacted about fire-risk tumble dryer models. The advice given was inadequate, inconsistent and potentially dangerous at times. Not a single call resulted in what we would deem to be an acceptable response to a serious safety issue. In nine out of ten calls the customer service adviser failed to give the correct advice that the customer should unplug the machine, which they had been told smelled of smoke. In six out of ten of the calls they failed to tell the customer not to use the dryer until it had been repaired or replaced. This was the key advice on the safety notice issued by Trading Standards last year, yet it wasn’t being made clear when we called and indicated that we had one of the affected dryers and gave an indication that it could be a fire risk. We’ve engaged with all the retailers involved, and will be sharing more detail on the calls with them and will be discussing what improvements can be made. Our investigation doesn’t stop there though. Some of our calls we directed through to customer services for Whirlpool-owned brands. The company has two years under its belt of advising consumers who have these fire-risk dryer. So you would expect them to doing it right at this point. We were alarmed when we went through the result. In only one of the five calls to Whirlpool was the correct safety advice given. How is this even possible? How could they get it so wrong on something so serious? But it gets worse. In three of the five calls put through to them, the customer service operatives incorrectly implied or explicitly state that there would be a charge for repairing the machine. This is meant to be a free modification, and is subject to a legal product safety notice. These are clear breaches of their legal obligations under the safety notice and in our view Whirlpool is breaking product safety law. “The instructions Which? claims were provided in these calls bears no resemblance to our advice on this product safety campaign, or the high standards we expect of our call centre staff. “We take our responsibilities on product safety matters extremely seriously and all members of our customer care team are thoroughly trained to ensure they provide consumers with the correct advice. We have a team of more than 300 professionals dedicated to taking over 3 million calls annually – all of whom take great pride and care in providing advice and assistance to our valued customers. “Our advice in all our communications is very clear: anyone still in possession of an unmodified dryer affected by this product safety campaign should unplug it and not use it until one of our engineers has carried out the modification. Which? is sharing relevant details from the calls to help the retailers and Whirlpool improve their safety advice. AO.com, Currys/PC World, Argos, Currys and John Lewis expressed surprise at the results and are investigating further. Co-op Electrical said it had reminded staff of the correct procedures. Argos and Very/Littlewoods declined to comment. We are calling on the Office for Product Safety and Standards to take immediate action against Whirlpool and is demanding a full product recall of the affected tumble dryers, both modified and unmodified. “Whirlpool’s response throughout this saga has been appalling. They have serious questions to answer about the safety advice they are providing to their customers and the steps taken to ensure these fire-risk tumble dryers are properly made safe. Read more: https://www.which.co.uk/news/2018/04/retailers-advice-exposes-millions-to-tumble-dryer-fire-danger/ – Which? Which? go on to say “‘We’ve been asking for these machines to be recalled for over a year now and our investigation is yet more evidence that Whirlpool, the Government and retailers are not taking people’s safety seriously.’“. For over a year now I’ve been asking Which? exactly how they expect to get these machines recalled when we do not know who owns them if they have never been registered (and most are not). We need a proper recall system set up a.s.a.p. beginning with, for example, compulsory registration of appropriate appliances at the point of purchase. Are Which? devoting some time to devise some proposals and campaigning for a system? – Peterborough Trading Standards who agreed to an unrealistic Whirlpool remedial programme and took no action when it failed. Were they more concerned with the manufacturer than the consumer? This disgraceful problem should lead to an investigation into all concerned and decide what needs to be put right. We don’t want a repeat of this in future. In my experience they do, but unscrupulous ones keep quiet about it and pour bluff, bluster, smoke and mirrors out hoping the punters don’t. If you have lost your home in a fire or been injured, you could make a claim. Anyone can join the Which? Legal service and hopefully get help with putting their claim together. Just use one half of the link. Thanks Malcolm. I’ve removed the duplicate link. The photo in Darren’s introduction shows how plastics can melt or burn when an appliance goes on fire, allowing the fire to spread. If the dryer had been built with a metal case the fire could have been contained, avoiding damage to the room or house. Plastics are successfully used in many applications where fire can be a problem – more than half an airliner is plastic. Horses for courses. Choose the right plastic. The chances of your tumble dryer catching fire, from whatever cause – fault, misuse, abuse – is extremely low, as for fridges and washing machines. As Which? say, for example, “If you already own a fridge with a plastic back, you should be reassured that the likelihood of a refrigerator fire is very low.“. Read more: https://www.which.co.uk/reviews/fridges/article/fridge-safety – Which? However, when good ideas are put forward that can improve safety they need to get to the right people. Manufacturers, for example and the standards organisations like BSI who currently are part of international groups looking at fires in domestic appliances. That way, good ideas can be examined by those with knowledge, experience expertise and involvement. I’d hope Which? might use the information freely given in these Convos to help advance safety, but individuals can contact BSI directly. Look at the photo above and the others that I have posted and tell me if you think that the manufacturer has chosen the right plastic to prevent an internal fire from spreading. Plastic backs should never have been allowed on fridges and freezers but the risk is relatively low because there are few sources of ignition, whereas there are more in a tumble dryer including the long established problem of lint igniting. I posted a link to London Fire Brigade data for fires involving appliances and these include a large number of fires involving tumble dryers. No doubt some were trivial but others will have smoke damaged or burned down homes. We discussed that the US Underwriters Laboratories are working on fire containment and I expect that BSI are already well aware of the benefits. Once again I would like to point out that consumers can sue a company for damages if they have been injured or suffered property damage caused by unsafe products. Here is an example of one company that specifically mentions the Consumer Protection Act 1987: http://www.carterlaw.co.uk/faulty-tumble-dryer-sue-whirlpool/. I have no connection with this company and no doubt others offer similar services. I posted a link a couple of years ago to the work that Underwriters Laboratory had done on containment in 2012. They are an active member of the international standards organisation so no doubt all are aware of their work. 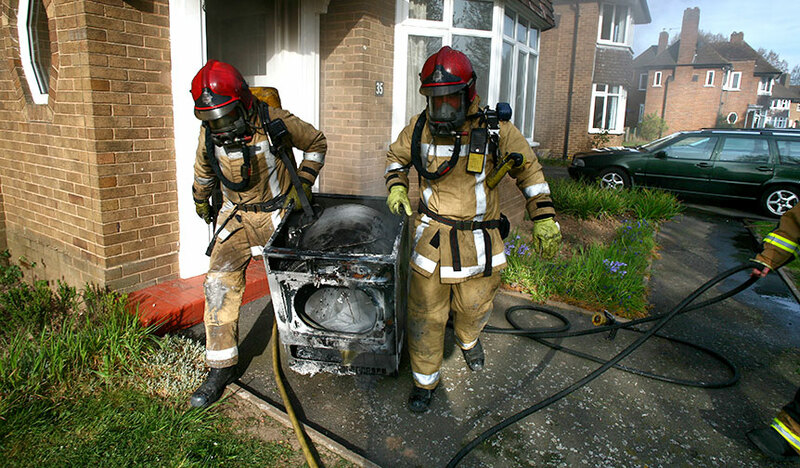 Tumble dryer fires reported, of whatever cause, amount to 0.005% of those in service. The way any product will be improved is through standards that all manufacturers must meet. The trouble is we don’t have adequate Trading Standards to ensure all products meet those standards. Without that, rogue manufacturers and imports can escape proper scrutiny. a problem we need to address urgently. Here is a Which? photo. The plastic seems to have hardly distorted let alone melted or spread the internal fire. The issue of fire in domestic electrical appliances is being looked at by standards bodies – who include many experts including scientists, engineersfire services, government bodies – and I look forward to their findings. Which? are now part of the BSI committee and can make their own information known, along with ideas presented in these Convos. It would be useful if they would inform us on progress. It would be interesting to know what the other (30 or so) European consumer associations have to say about the construction of appliances. The photo is a stock photo that has been around for years and presumably licensed for use by Which? : https://www.istockphoto.com/gb/photo/fire-damaged-kitchen-with-washing-machine-and-upturned-clothes-horse-gm72984060-15201116. From the uncropped photo in my link, it looks to me as if the heat damage has been caused by an external fire. It’s a frequently used photo but certainly not typical of ones posted online. 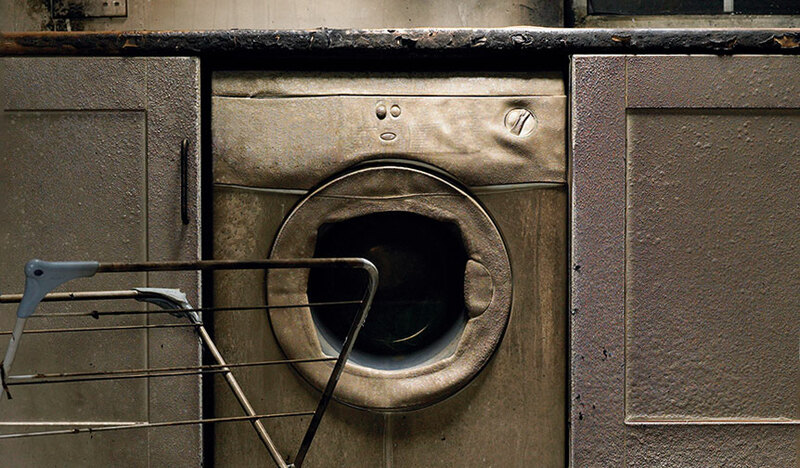 The LFB data records the brands of tumble dryers and other appliances involved in fires and it is not confined to Hotpoint, Indesit and other Whirlpool brands. I’m not convinced that we have a problem with ‘rogue manufacturers’ failing to comply with published standards. If UL have recognised the need for fire containment, why not other standards organisations? When we were discussing US tumble dryers, Duncan drew our attention to requirements for vented tumble dryers to have flexible or solid metal tubing so that in the event of fire the flames would be contained. I don’t know what is provided as original equipment with vented dryers but plastic hose is available as spares from several companies including eSpares and UK Whitegoods. It has not been suggested fires are restricted to Whirlpool brands. However, has anyone seen how many suspect Indesit type dryers have caught fire? UL investigated fire containment. They will no doubt then have presented their work to the international standards organisation that they work with in the preparation of standards. Maybe worth asking IEC where the work has led and its value? Anyway, we’ve talked around these same issues for a long time. Which? are now I believe directly involved in BSI committee work. Being actively involved is important. We can all, if we have useful expertise, knowledge, or convictions, make them known to those who can do something with them. It seems fairly evident that Which? does not have relevant expertise here but at least they product safety is a current focus and hopefully comments are passed on. Here’s some bedtime reading about fires in US clothes dryers and washing machines: https://www.nfpa.org/-/media/Files/News-and-Research/Fire-statistics/Appliances-and-equipment/oswashersdryers.pdf. 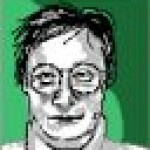 I’ve not seen this document posted here before. It mentions the need for metal exhaust hose/flue for vented dryers. I suppose the UK is lagging behind the US there too. Looking at the example in the photo at the top of the article, both the plastic door and the plastic lid have failed, doubtless allowing fire to spread. So there is definitely merit in the view that all metal casings – including windowless doors – would provide defense-in-depth, if dryers catch fire. To make safe dryers, they need to be designed so as to minimize the likelihood of them ever catching fire. That done, the use of all metal casings should then minimize the consequences of the fire spreading. Thanks to the efforts of Which? and others, there now seems to be greater public awareness of these risks. I have seen some evidence for this when giving safety briefings at work, and/or when running a “fire safety in home” exercise, as part of a wider safety training course. As I’ve said in other convos, waiting for BSI and IEC to “ratchet up” design standards will be a slow way of dealing with these issues. If there were a genuine consumer demand for all-metal-containment, then a entrepreneurial manufacturer could scoop the market by offering that consumer choice now. Thanks to Which?’s work on fridge-freezers, we already know that some are following that path there. Windowless doors would indeed be necessary to ensure fire containment. Many tumble dryers don’t have windows at present. The public might not be keen on windowless washing machines but explaining that this is a safer option should make them more acceptable, and it would put an end to the problem of ‘exploding’ door glass that can occasionally happen. I do like the idea of the entrepreneurial manufacturer selling safer products now. Many bought Volvo cars on that basis. The missing lid of the dryer in the photo may be because it has been pulled off to ensure that burning material is extinguished. Other photos show lids that have largely survived fires (unlike the plastic fascias) and laid on top of the burned out appliances. Nearly 3 years after it all began this rumbles on, with the minister being asked to intervene. It ignores the practicalities of tracking down all those users who have not responded to a repair. Whirlpool says they have done everything necessary, and that reports that their repairs are ineffective ““Recent criticisms of the effectiveness of the modification are based on fundamental technical misunderstandings of what it addresses.”. Perhaps Which?, who did such a test, would comment. What this debacle shows is a total lack of interest in the consumer, from Whirlpool, Trading Standards and the government. Even Which? could have pursued this quickly and relentlessly at the outset, given the obvious scale of the problem and the detriment to consumers. What now? Is there a solution? What would Which? do? In my view, one of the most useful thing that Which? could do is help some people who have been injured or whose home has been damaged due to a faulty Whirlpool appliance to make claims under the Consumer Protection Act. https://www.which.co.uk/consumer-rights/regulation/consumer-protection-act-1987 This could get a lot of media coverage and perhaps encourage the government to wake up and take action. I’d like Which? to publish all the evidence they have that demonstrates this. However, the press release finishes with a demand to recall all affected tumble dryers. How can we when we don’t know who owns them? It is time we got to grips with a proper system that allows for as many owners to be contacted as possible when there is a safety issue with appropriate products. I believe this begins with the compulsory registration of a product and owners’ contact details at the point of purchase. Such a scheme can be refined to include past purchases, secondhand sales, products in let properties for example as its integrity is established, but delaying it should not be an option. Do Which? support this? Trading Standards should have required Whirlpool to demonstrate by independent test and assessment that the unsafe dryers would be made safe permanently by their proposed “fix”. I don’t know of any evidence that they took this elementary step. Let alone that they ensured the Whirlpool remedial actions were both effective and not going to inconvenience customers. Seems like a total failure. Trading Standards are the official nominated organisation in the UK to ensure EC regulations on products are complied with. They should ensure that a safety problem is dealt with swiftly, competently and effectively. They have not met any of these criteria. This example should require the government to investigate the role of Trading Standards and make it fit for purpose – to protect consumers. It is extremely encouraging to see that Which? is focusing on product safety issues. We need the help of Which? to reinstate Trading Standards as an effective service for consumers and to push for standards to be improved when problems are identified. There is no indication that British Standards has studied the Whirlpool dryers that have been deemed unsafe, and doing so could establish what changes are necessary to improve the standard. Likewise, the London Fire Brigade established that there was a problem with plastic-backed fridges and freezers years ago and as far as I’m aware their manufacture is still permitted even though there are safer alternatives. 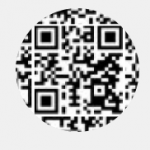 As far as I know, BSI are not funded to carry out this kind of investigative work on their own account (I may be wrong) and the experts they would need would be those in the industry, their laboratories and other knowledgeable bodies – the people who contribute through working groups and committees to standards. Trading Standards could (should) have asked an independent organisation to test Whirlpool dryers at Whirlpool’s expense to determine the cause of the dryer problem, if it were in doubt, and to test the integrity of the remedy. London Fire Service were, and may still be, on the relevant committees and no doubt their input is taken into proper account. I am pleased that Which? are now represented and hope they will add to BSI’s expertise; it would be good if constructive comments from these Convos were collated and formed part of their contribution. I accept that BSI is not funded to do this work. You know more than me about this. However it’s fairly well established that a build-up of lint in dryers can increase the risk of a fire, so the lack of a requirement to test used dryers seems a serious omission to me. When there is a problem such as the Whirlpool dryers, surely BSI (and other standards organisations) needs to understand why this occurs, unless a problem with compliance with the standards has been established. The use of plastic backs in fridges has increased the fire risk although not sufficient to warrant a recall. What I would like to know is how these less safe materials complied with the relevant standards. I don’t know if Which? has in-house expertise relating to product design and safety and perhaps their role is to push for prompt action. I can only repeat what I have said before, that the standards organisations are, I understand, actively investigating fires in domestic electric appliances ( even though they are few) with a view to improving standards where necessary. It could be useful if Which? arranged a contribution from BSI to explain this. The solution as far as standards is concerned is international, not just limited to the UK. Many manufacturers provide safe and reliable products. I’d like to see retailers and distributors take much more responsibility for the products they sell, and avoid those with poor quality and certainly those with dodgy credentials. Standards and CE marking provide the basis of safe products. But they are only fully effective if compliance is policed, and that is the job delegated to Trading Standards. Poor policing allows unscrupulous manufacturers or defective products to escape and remain in the system. We need proper policing, and severe penalties for infringements. The investigation into the fridge freezer Hotpoint FF175B model identified by the Metropolitan Police as being involved in the Grenfell Tower fire has confirmed there is no need for a product recall or any other corrective action, and that consumers can continue using the product as normal. As part of the government’s response to the Grenfell Tower fire, Business Secretary Greg Clark ordered an immediate examination of the unit by independent technical experts. This included a thorough product safety investigation which examined the Grenfell Tower appliance, further independent examinations and testing of other FF175B appliances, undertaking analysis of data and documents, and commissioning independent experts to assess the risk of the FF175B model. Based on the findings of the investigation, the experts have concluded that the product met legal safety requirements and that the risk associated with the model is assessed as low. Condenser and vented tumble dryers have a heater operating at high temperature and if any fluff or other flammable material comes in contact with the heater there is a risk of fire. Heat pump dryers do not have a high temperature heater. I would be grateful if Which? could investigate whether moving to heat pump dryers could significantly reduce the incidence of fires. The Indesit dryer “problem” has been a shambles right from the start. Peterborough Trading Standards were, I believe, responsible for approving Whirlpool’s approach to dealing with millions of suspect dryers. It was an impossibly ineffective plan that should never have been sanctioned. Presumably PTS were also invovled in approving the “remedy”. I wonder how much expertise and testing went into agreeing it was effective? The government wrote a couple of letters but otherwise seemed to keep out of it. Whitlpool seemed to just hope for the best and had no sense of urgency. We need action now. Whirlpool should contact all owners who had dryers “repaired” to see if there were problems. Which? have shown the need for this by contacting a small proportion and finding problems. A long winded report can follow – no doubt like all such reports it will be too long after the event. I’d suggest two immediate actions need to be taken. 1. Institute a proper product recall system for electrical domestic appliances. It’s taken far to long already since it was mooted 3 years ago. It won’t help Indesit owners much but would help new purchasers. Compulsory registration at the time of purchase. And 2. Reorganise Trading Standards so national issues like this are dealt with by a central national trading standards unit with the strength and expertise to do jobs like this properly. And provide the funds necessary – protection for consumers in my book comes before spending £ billions on HS2 or repairing the Houses of Parliament. The more I read about these Whirlpool dryers, the more I am convinced that my earlier observations and comments relating to my own dryer, claiming that the root cause is the inadequate rear drum bearing appears correct. I don’t know who provides technical data for Which to get an independent opinion backed by facts, but it should be somebody with suitable engineering qualifications and certainly not connected to the manufacturers. There is doubt about the early modifications, I can understand that, when I ordered a bearing kit the label showed a range of appliances that it covered, very likely all the appliances in question. To repeat my earlier comment, the worn bearing caused a considerable escape of lint into the machine. If the first modifications did not include replacing this bearing with a modified one I don’t understand how it could be successful. My dryer is sorted now but that does not help others who may still be in a risk situation. Perhaps Which can advise me that this ground has been adequately covered, I would be pleased to know, but I might want some convincing. I cannot answer your questions, Ken, but I share your concerns. There are other reasons why lint can accumulate unseen within tumble dryers and here is a page with a photo of lint accumulated as a result of a filter problem: https://www.ukwhitegoods.co.uk/help/spare-parts/tumble-dryer-spare-parts/4000-tumble-dryer-filters On a couple of US websites I’ve seen recommendations that owners should dismantle and clean the insides of dryers. I don’t understand why we are still using dryers with a powerful electric heater when heat pump models are now widely available. The cost is higher but the running cost lower. Heat pump dryers do not get hot enough to set light to lint. To properly investigate the problem required suspect or faulty dryers being dismantled as you say, by independent people knowledgeable about dryer construction and faults. I had hoped Which would have done this, but did they? I agree any slight droop in the drum could open the seal and let fluff through. Is this a likely possibility with the offending dryers.? @gmartin, George, can you tell us? Ken – Having re-read your comments and looked at videos, I think I understand the problem you are referring to. I assume that the bearing is similar to the one shown in this video: https://www.youtube.com/watch?v=tu5mALFghqw It’s not exactly sturdy. 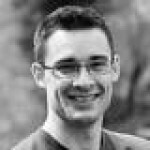 Hi Malcolm, Ken, Wavechange – this is a really interesting discussion. Just to try and answer a couple of the questions you raise, our evidence suggests that the original problem (with the unmodified machines) was to do with the bearing. In terms of our investigations into issues with modified machines, we can’t say at this stage what is causing these potential problems, only that our testing has found evidence of issues with the effectiveness of the modification and that we’re calling on the regulator to look into these further. Last year, we also tested a modified Whirlpool dryer that had caught fire just two years after it was repaired. Around two minutes after turning it on, we could see flames at the rear of the drum vent (the drum was empty). When we opened the machine up to find the cause of the fire, we found an excessive amount of dust on and around the heating elements. I hope this is helpful. @ddalton, Thanks Daniel. I wonder whether, when Whirpool modified the machines in situ they cleaned all the fluff out from behind the drum. I hope they did. Was the machine that caught fire properly modified in accordance with Whirlpool’s procedure? Did Whirlpool replace the bearings on all the machines they modified? Sorry for the questions but there is a lot that is unclear about this problem. One key issue here is the inability of Whirlpool to contact all owners. I have suggested we need compulsory registration at the point of sale as the only way to ensure a (substantially) full contact and recall could happen in future. What is Which?’s view or do they have an alternative approach?